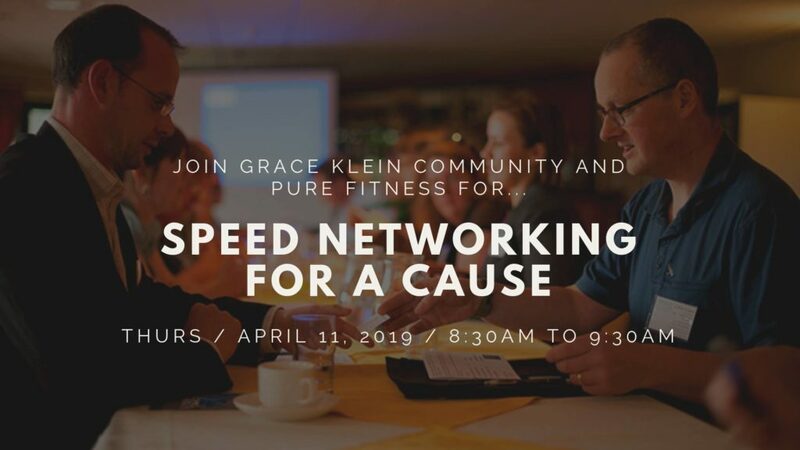 Join Grace Klein Community and Pure Fitness for Speed Networking for a Cause! Breakfast will be provided. Bring a door prize and your business cards.